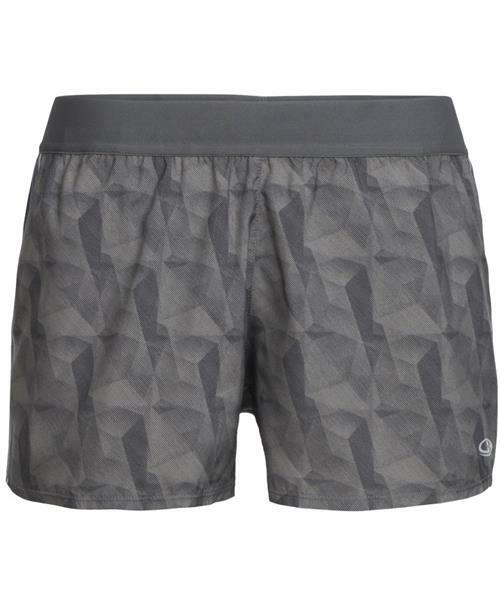 Lightweight, technical shorts designed for maximum breathability when you’re moving fast, the Comet Shorts Folds are ideal for trail running, ultralight hikes and other high-output pursuits in hot weather. The Comet’s minimalist design provides uninhibited motion and amplifies airflow by combining a 100% recycled polyester main body with panels of corespun eyelet mesh. Corespun fibers use a nylon core wrapped in merino wool for added durability and strength that retains next-to skin softness. Inside, a stretchy inner short features Cool-Lite™ jersey that’s supportive, breathable and quick to dry. The elastic waistband provides a low-profile fit, and reflective side trim improves visibility while running around town.